LIMITED EDITION OF 10. Hand numbered & signed by the artist. Once she’s gone, she’ll be gone forever, so hurry! It’s what he gets for not letting her join in any reindeer games! 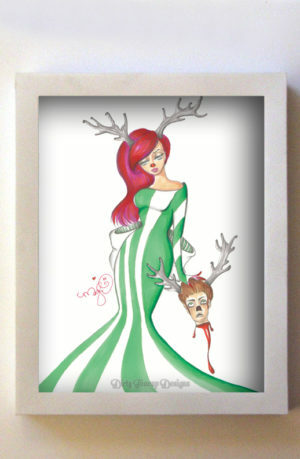 A quirky take on Rudolph by Dirty Teacup Designs. A print of “He Used to Laugh & Call Her Names” by Dirty Teacup Designs. “Rudolph” is printed on high quality 12 pt card stock. She measures 8″x10″. Print features the name on the back. 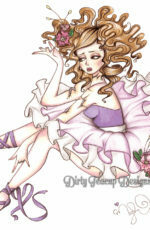 Print will not have the Dirty Teacup Designs watermark. If you would like Rudolph signed by the artist, please let me know when you make your purchase & I will sign on the back, unless you say otherwise.